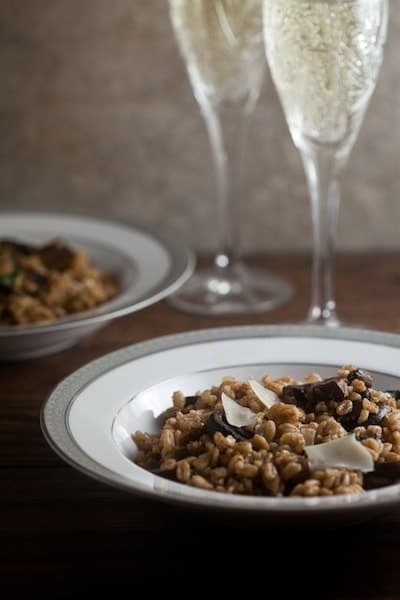 Farro Risotto with Roast Mushrooms | Healthy. Delicious. Do you ever have one of those days where by the time you get home from work you’re so tired of thinking that the idea of cooking dinner seems like a form od cruel and unusual punishment? (Please tell me it isn’t just me!) 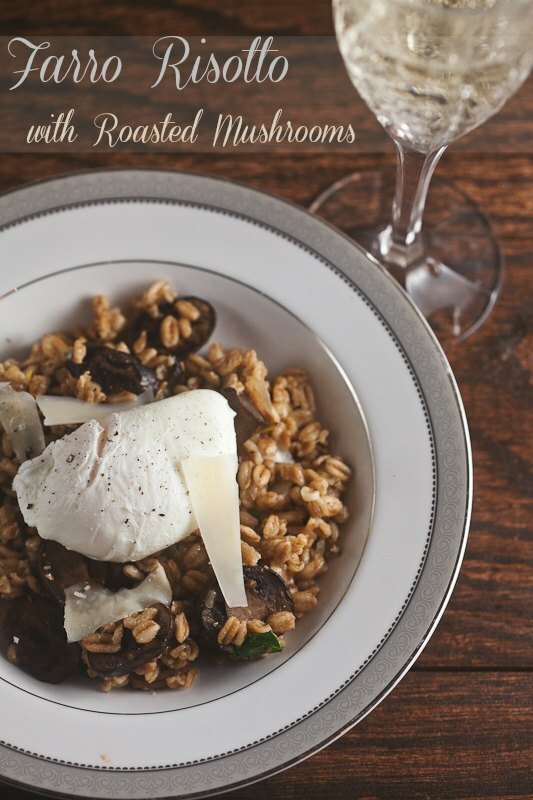 I’ve had a lot of those lately, which is why there was a full week between the time I bought the ingredients to make this farro risotto with roasted mushrooms to the time that I actually made it. Farro is a whole grain that I’ve seen around a lot lately. It has a chewy texture that reminds me a little of barley, although the flavor is much milder. Because it’s so delicate, this risotto is surprisingly light and not too wintery at all – I actually thought it was perfect for a rainy spring day. It also paired perfectly with some dry prosecco. The only downside is that it can be a little tricky to find at the supermarket. After coming home empty-handed a few times, I eventually found some at Trader Joe‘s. Then, the next week, I noticed it hidden away on the bottom shelf in the natural foods aisle of the Shop Rite around the corner from my house. If you can’t find it, definitely ask someone! 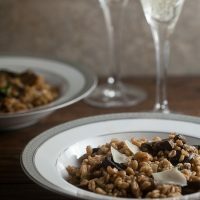 Pre-cooked farro (I like "10 minute farro" from Trader Joe's) makes this a simple dish to pull together on a weeknight. Look for in the rice, bulk grain, or natural aisle of the grocery store. 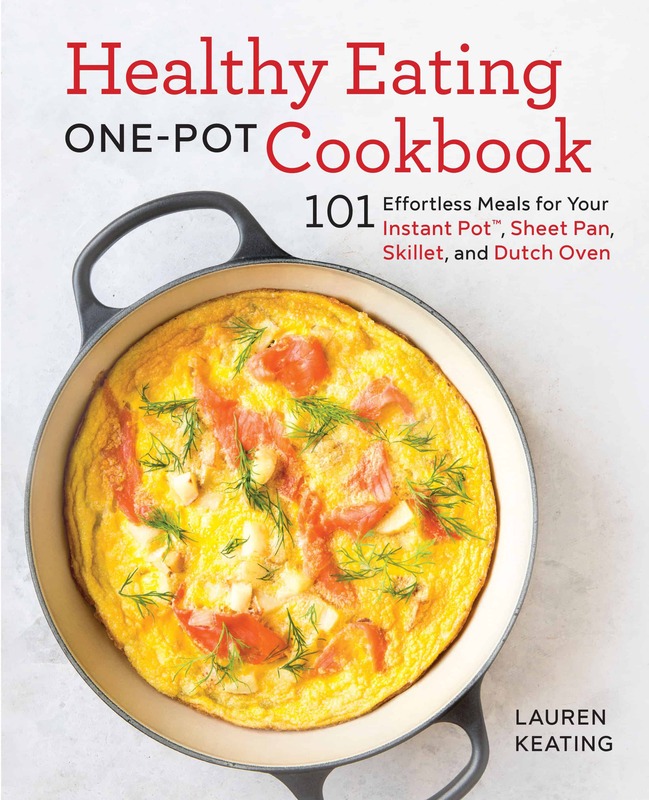 If you can't find pre-cooked farro, the regular version will work - it will just take 10-20 minutes longer to cook. 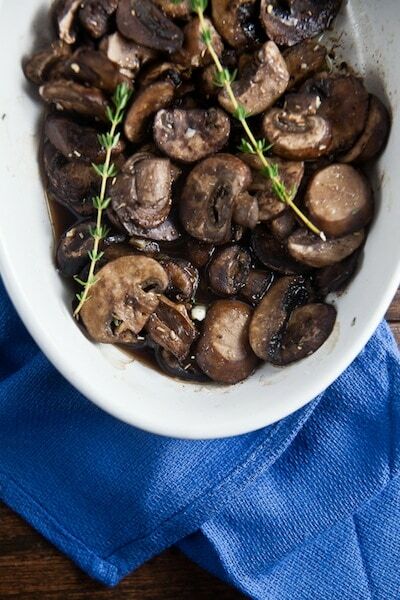 Heat the oven to 350*F. Add the mushrooms, garlic, thyme, and rosemary to a small baking dish. Drizzle with olive oil and season with salt and pepper. Roast for 30 minutes. Meanwhile, bring the vegetable stock to a simmer in a small saucepan. Heat 1 teaspoon olive oil in a large sautee pan. Add the farro, onion, and garlic. Cook 5 minutes, or until the onion begins to soften. Stir in the roast mushrooms, along with any liquid that has accumulated in the bottom of the baking pan. Season with salt and pepper; stir in the parsley. Poach the eggs according to your desired level of doneness. To serve, divide the risotto between 4 dishes. Top each serving with a poached egg. I’m terribly afraid I’d just stand there eating roasted mushrooms until there were none left for this dish. They sound so appealing to me! I loooove risotto, gonna try this. I have those days SO OFTEN which is why I try to do most of my cooking on the weekend..during the week I am just SO burnt out! 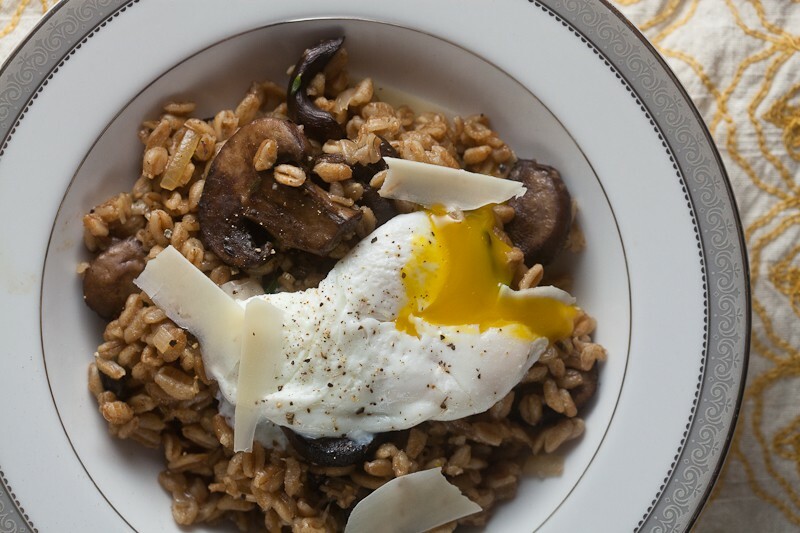 This farro risotto sounds wonderful. 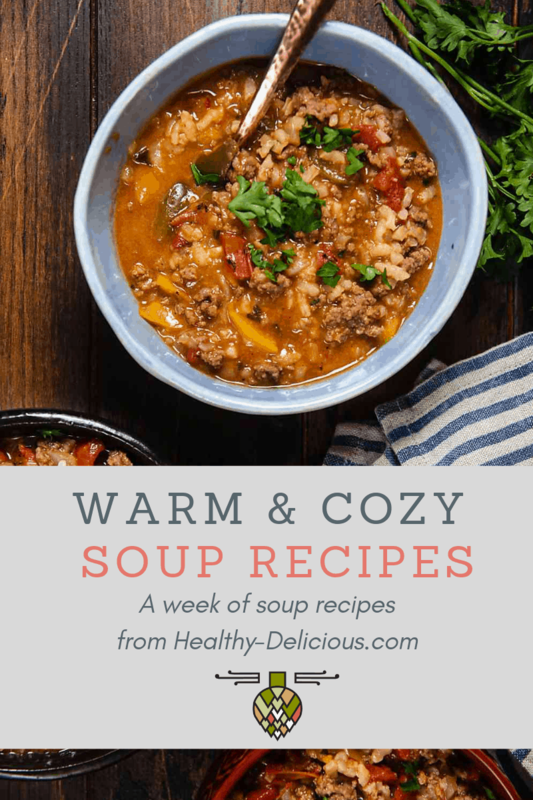 Total comfort food after a long day!